So I got the flu.. AGAIN just had it two weeks ago and now its back worse than it was and so far longer... I had a busy weekend, my sister stayed over for the weekend cause the guys took a trip to Montreal, so no way I was going to let this flu ruin my weekend!.... I kept going this weekend with Tylenol cold and flu tabs every 4 hours, it helped me stay up and about but boyyyyyy am I feeling the drain right now ;(... I hope I didnt make things worse. 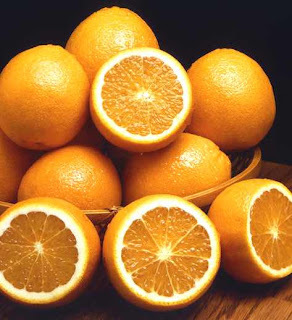 A friend of mine told me to eat lots of Oranges, so I went and bought lots. I'll be eating two right now, then I'm just going to stay stuck on this couch the rest of the evening. Overall the weekend was a success. My sister and I shopped lots. I got some amazing deals ;) Like I mentioned before I am not a shopaholic, I do love to shop but I'm one of those shoppers that go shop for "just what I need" type things... But this weekend we had it planned that we would just have fun and shop and buy whatever we liked (within our budget of course) ;)... So I set my mind to it and I did great. I bought some spring and summer clothing and 3 pairs of summer shoes and a pair of winter boots.... didn't neeeeed any of them, but sooo happy I have them, I am sure I will put it all to gooood use!.... I have to show you the great deals I got. 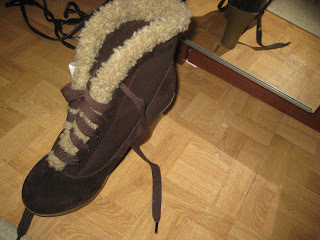 Winners had a clearance sale and I got these boots for $9.00! I know! 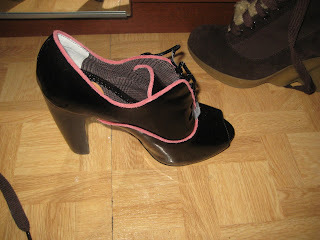 reg $70 and I got these cute black pumps for 3.00!!!!!!! Reg $50. Amazing HUH. 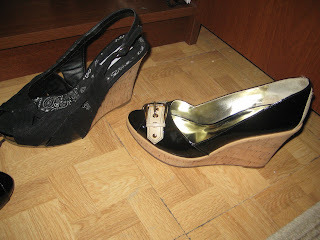 I got these other shoes as well, regular prices but just had to get them for summer time ;). I also bought this hair mask, i totally recommend. 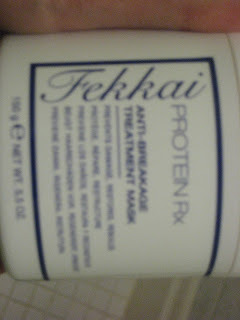 A couple years ago I had bleach Blonde hair, and when I dyed it to brown it basically all fried off, (thats another story, it was very devastating) LOL but I'm all good now, nice and natural ... but this Hair mask Protein RX is what really helped me get my healthy hair back, i used it for about 6 months at the time while growing my hair and it really helped. So I decided to buy it again just to use about every 2 weeks to keep my hair nice and strong. You can get this at Sephora, it's amazing.